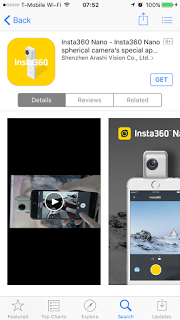 The Insta360 Nano app is now available on the App Store! Of course we can’t use it until we get the Insta360 Nano, but it’s at least comforting to know the Nano won’t be delayed due to the app. This is the shooting screen. 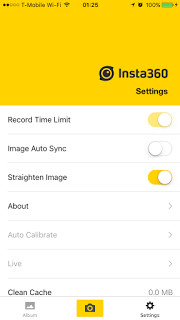 You can switch from photo to video. 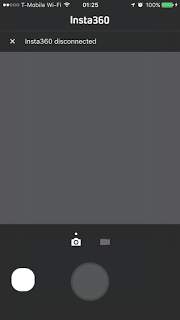 There does not seem to be other settings such as for changing exposure. But we won’t know until we get the camera at the end of July. This is the gallery tab. 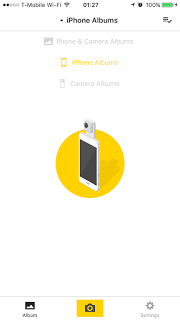 It allows you to see the photos from your iPhone’s Camera Roll or the Nano’s memory, or both. This is the settings tab. Thankfully it has a vertical orientation correction. You can also see the calibration mode (for smoother stitching) and the Live mode for live streaming. 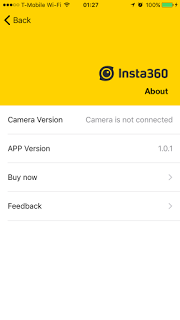 Interestingly, the app includes a way to send feedback directly to Insta360 for product issues or product suggestions. I’m looking forward to getting the Nano!